Unveiling the Coach Pre-Fall 2019 men’s and women’s collection at West Bundt Center in Shanghai, the brand’s Creative Director Stuart Vevers invited actress and current face of the brand’s fragrance, Chloe Grace Moretz and Chinese actor and current brand ambassador Timmy Xu to the show. Adding more glam to the already glamourous shows are Japanese actress, model and current brand ambassador Kiko Mizuhara; Sui Jianguo; Thomas Bray of YETI OUT; Zhu Jingyi; Guang Yu; Liu Wen; Ji Soo and Rosé of BLACKPINK; Hannah Quinlivan; AMIAYA; Nick Chou; Billie Wang; Dylan Xiong; Lawrence Wong; Vivian Li; Yvonne Ching; Tim Yu; AWAKEN; Hao Boys; Janice Man; Fazura; Fattah Amin; De Cao; Chau Bui; Valerie Thomas; Arifin Putra; as well as key editors, stylists, retailers and influencers. 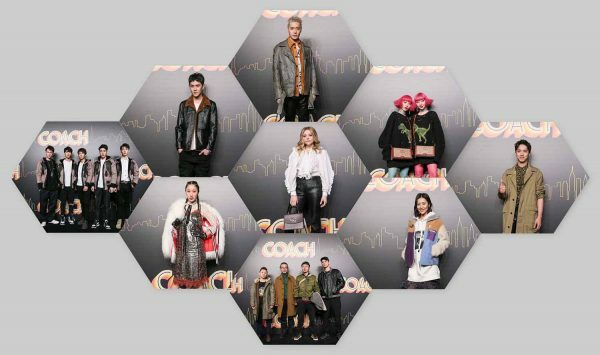 The show which was held on December 8th coincided with the brand’s 15th anniversary in China.